Oral health is very important for an overall healthy body. One of the diseases with serious consequences that we have to be on the lookout for is periodontal disease or gum disease. It is a bacterial infection which if not treated can lead to loss of a tooth and other things. Hence the word ‘periodontal’ literally meaning ‘around the tooth’. This disease can affect one or many teeth at the same time. The bacteria in your mouth with mucus and other substances regularly forms ‘plaque’ – a sticky colorless substance, around our teeth. That’s why you brush – to cleanse your mouth of these substances. If you don’t do that regularly, the plaque can harden and will be difficult to take off by just brushing. The longer you don’t clean your teeth off that hardened plaque or ‘tarter’, they become more harmful. The bacteria cause can cause your gums to inflame, the inflammation is called ‘gingivitis’ – gum becomes red, swollen and can even bleed. At this condition, you don’t lose any bone or tissue in your mouth, and teeth health can be restored by brushing and flossing, and regular cleaning for a health worker – a dentist. 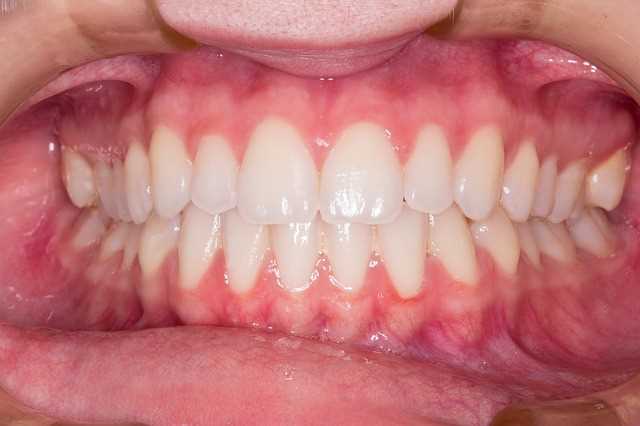 However, if you don’t treat gingivitis on time, it can lead to periodontis. In this stage, the gum loosens up from the teeth and allows gaps in between the teeth. Those gaps can be infected. The body fights the bacteria, and in the process tissues inside the mouth that hold the teeth in place starts to break down. If you don’t great periodontitis on time, your teeth, the gums, issues – call can be damaged forever. Identifying gum diseases on time is very vital. You should regularly watch out for the symptoms which include long-lasting bad breath, swollen gums, blood from the gums, pain in the teeth or gums while eating and lose teeth. If you observe these signs in you, you should not waste time and visit a dentist immediately. There are precautions you can take to avoid gum diseases. Rinse your mouth properly after each meal. Brushing your teeth is not enough, you should also massage your gums with your fingers. Flossing your teeth has many advantages, preventing gum diseases is just one of them. Make it a regular habit. Another regular habit you should develop is visiting your dentist at regular intervals, get your teeth cleaned. You normally don’t get gum diseases when you are young. As with most diseases, it attacks you as you get older. However, it is not so rare in younger individuals either. It will happen if you do not care for your teeth and gum properly. There is even a special form of gum diseases for teenagers. It’s called the juvenile periodontitis, and in most cases it is hereditary. Some other conditions that might invite gum diseases are – pregnancy, diabetes, and a few other health conditions. It is a common knowledge too that smokers are most likely to get gum diseases.